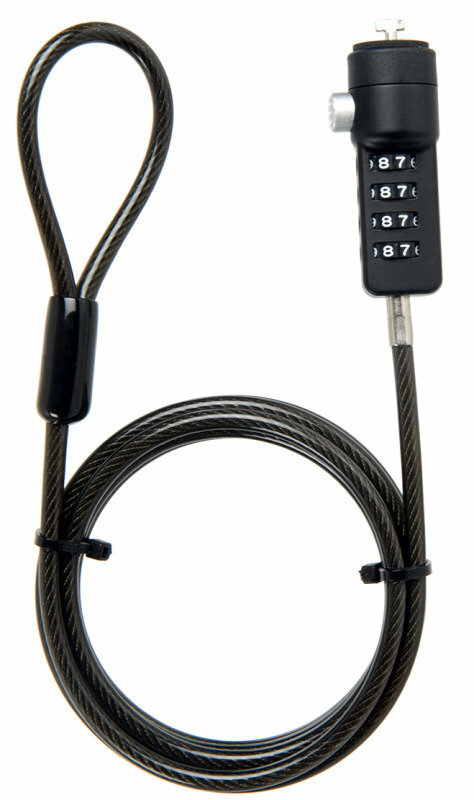 This heavy duty four-dial combination lock is an easy and practical way to secure your laptop or other digital device. 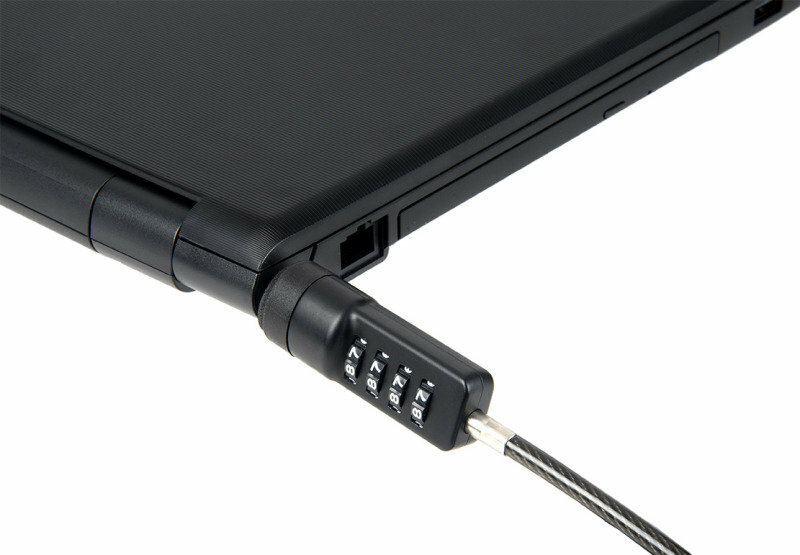 Most laptop computers, tablet PCs and other digital equipment are now fitted with a security slot and this lock has been specifically designed to fit the slots that can be found on computers, projectors and large screen TVs as well as other gadgets. As with any combination lock it is highly recommended that you set your own combination rather than keeping the factory settings. To do so takes only a moment and once set the correct number sequence will be virtually impossible to guess. Needless to say it’s a good idea to keep a note of the number away from the device being secured in case of a brain freeze! It couldn’t be much easier. Simply loop the cable around any static and secure object and then insert the lock into the security slot of your device. Rotate the lock, mix the numbers and that’s it. Your laptop is now secured against opportunistic thieves.